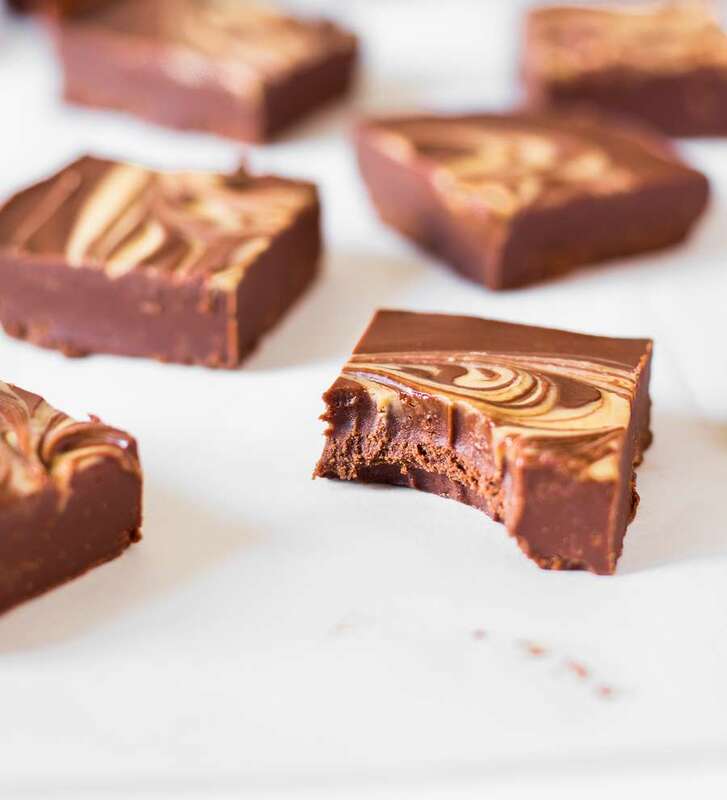 This Vegan Chocolate Peanut Butter Fudge is made with only 3 ingredients and comes together in 5 minutes. 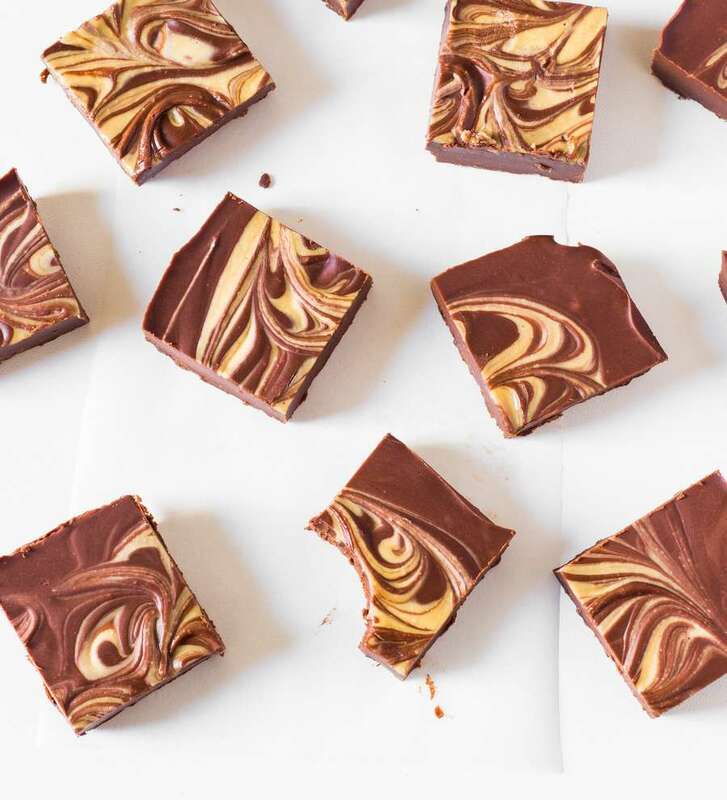 It’s fudgy, chocolatey, healthier than most fudge recipes and delicious. Vegan, gluten-free, oil-free and refined sugar-free. 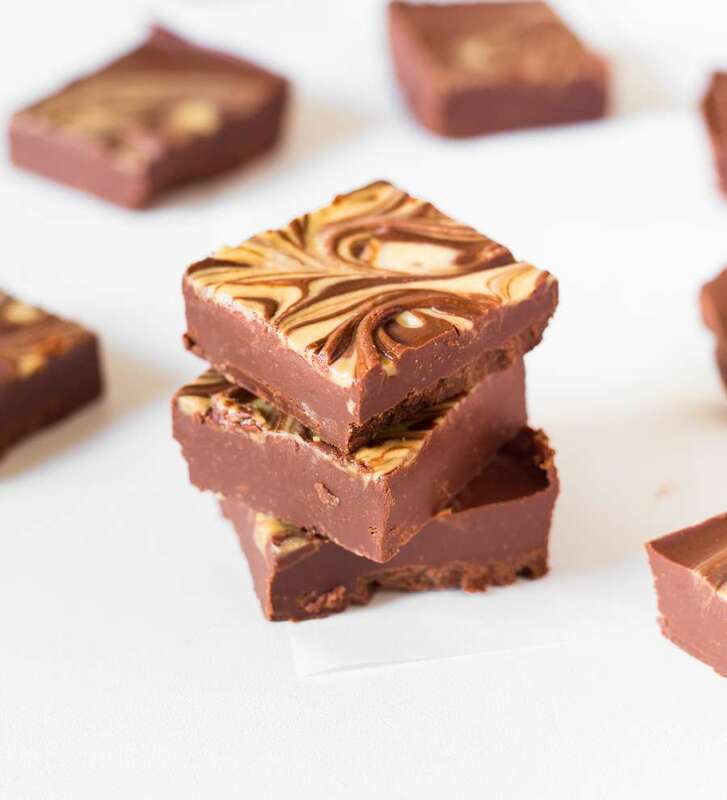 What about a simple, delicious, chocolatey, peanut butter-y fudge for dessert? (Or any time, really). It comes together in 5 minutes and only requires 3 ingredients. The hardest part is to let it set in the fridge for 1 hour but it really is worth the wait. 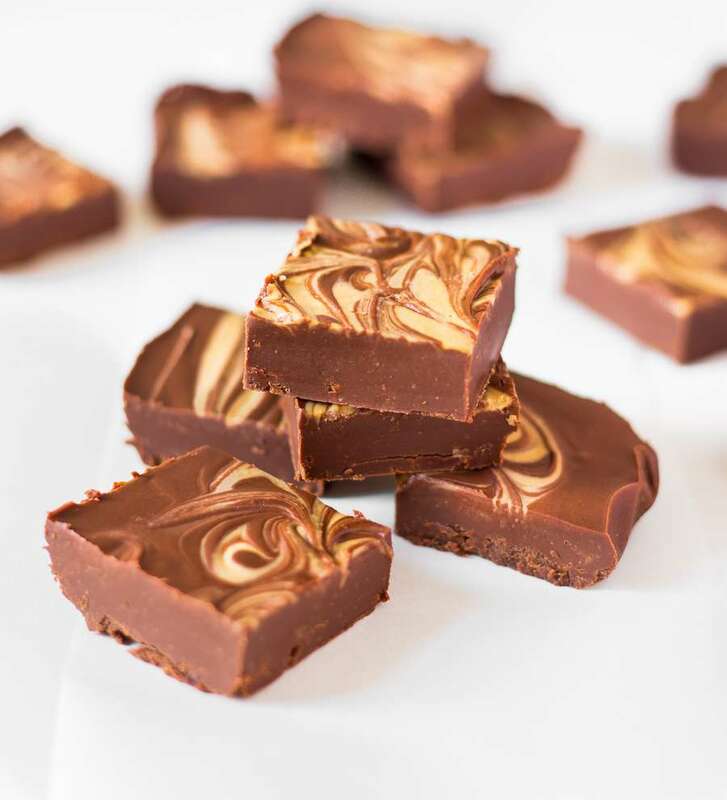 To make this chocolate peanut butter fudge, all you need to do is melt peanut butter over low heat so it’s nice and creamy. Then, add in dark chocolate chips and agave syrup or maple syrup and stir until melted and combined. Now you can transfer the mixture to a lined baking dish and let it set in the fridge for 1 hour. 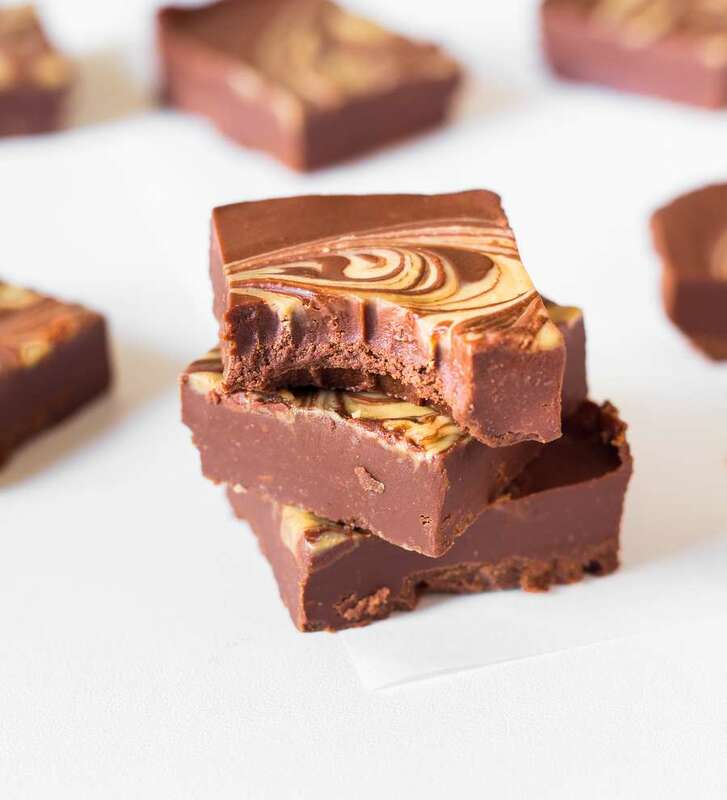 To make the peanut butter swirl you can see on the surface of the fudge, I simply added small teaspoons of peanut butter on top of the mixture and used a knife to create a swirl. 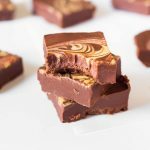 This Vegan Chocolate Peanut Butter Fudge is made with only 3 ingredients and comes together in 5 minutes. 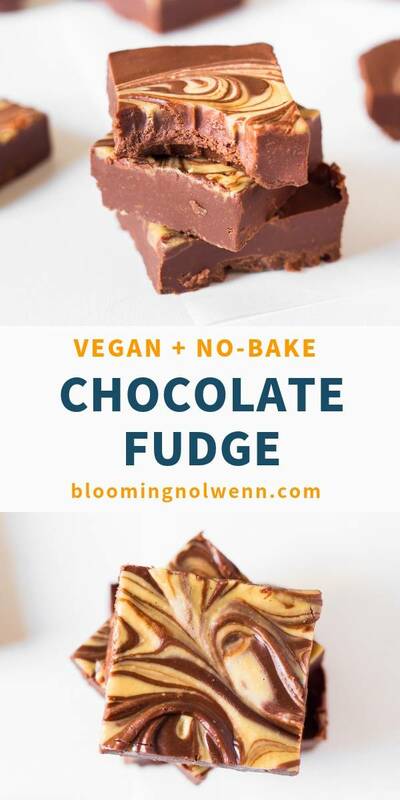 It's fudgy, chocolatey, healthier than most fudge recipes and delicious. Vegan, gluten-free, oil-free and refined sugar-free. Add peanut butter to a saucepan and melt over low heat, stirring constantly. Add in chocolate chips and agave syrup or maple syrup and stir until everything is melted and well-combined. Transfer the mixture to a lined small baking dish or a glass container and spread evenly with a spatula. 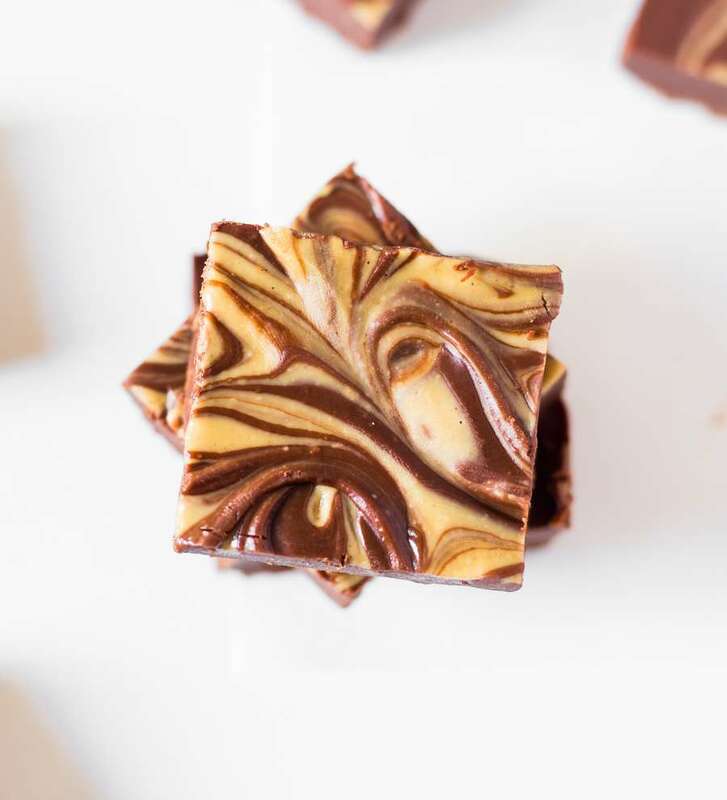 Add small teaspoons of melted peanut butter on top and create swirls on the surface with a knife. Place in the fridge for 1 hour or until set. Cut into squares and enjoy!